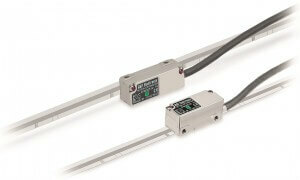 Schaumburg, IL (January 2015) – RSF Elektronik has released the MS 15 optical kit style linear encoder with the most advanced features available in the smallest mechanical profile in the industry. Available in North America through parent company HEIDENHAIN Corporation, the MS 15 is suited for motion applications in various industries such as metrology, semiconductor, medical, and automation. 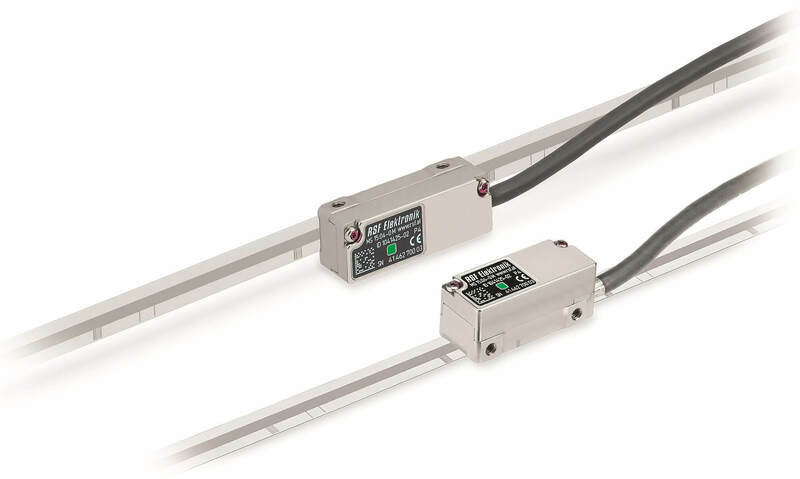 The MS 15 optical kit style encoder is only 36mm x 13.5mm x 14.8mm in size, and provides a 40 micron grating pitch on an 8mm wide steel tape carrier that has a double-stick backing for mounting directly to the machine axis. The measuring tape comes with accuracies of ±5 or ±15 microns per meter and comes in lengths up to 20 meters. The tape allows customers to choose the reference mark, as the marks are printed every 50mm and a sticker placed on the scale is used to highlight which reference mark is needed. The tape also features the use of optical limits where separate stickers are placed on the scale that are detected by the reader head which sends the limit signals to the control or readout. A mounting tool is also offered to help install the measuring tape onto the machine axis with precision. The MS 15 reader head has a new advanced online compensation built-in which continuously adjusts signal deviations of amplitude, offset, and phase over a wide range. This online compensation reduces interpolation error significantly. The reader head also has a status LED which indicates to the user the mounting condition of the reader head with respect to the scale. The reader head is available with 1Volt peak to peak analog output, or a digital TTL output with a resolution down to 100 nanometers. Velocity of the reader head can be up to 10 meters per second. RSF Elektronik can be accessed directly via the web site at www.rsf.at. The North American contact for RSF products is Kevin Kaufenberg at 847-490-0387 in the HEIDENHAIN Corporation offices at 333 E. State Parkway, Schaumburg, IL 60173. PR Manager is Kathleen Stoneski 847-519-4702.